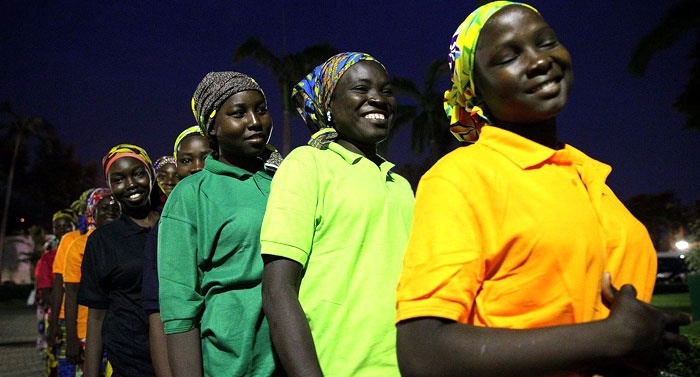 2 Chibok Girls Are US High School Graduates! Two of the Chibok schoolgirls, who escaped from the Boko Haram militants have graduated from a high school in Washington D.C.
Several months ago, they were abducted from the secondary school in Chibok, Borno State by members of the Boko Haram sect. All hopes seem lost as any chance of them regaining their freedom and meeting with their parents faded by the day. They cried all day and night each time they remember the state of mind their family members were. The two Chibok schoolgirls by a stroke of luck however were able to escape from the camp of the militants. After their escape, they were sent to a high school in Washington D.C to complete their secondary school. The two girls known simply by their first names Debbie and Grace graduated after completing junior year (11th grade) and senior year (12 grade) at a private school in the Washington metro area. They were part of the 57 girls who escaped from the terrorists after the mass abduction of almost 275 schoolgirls in April 2014.